Ella Dean Phillips is a native Texan, born in Fort Worth and a resident of the Burleson area since 1970. She began her community involvement as Preschool PTA President, Sunday school teacher, Women of the Church president, Cub Scout den mother, and an avid supporter for her three sons’ many sports and school activities. She is a member of Phi Theta Kappa Honor Society and graduated from Tarrant County College. She retired from her professional career after 30 years as Burleson Branch Manager for EECU Community Credit Union, and is a Certified Credit Union Executive. 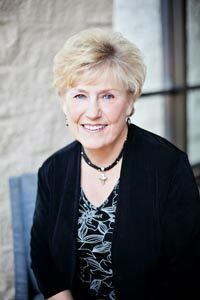 She received the 1999 Athena Foundation Award for dedication to the community and education in Burleson. Past honors and service include YWCA Women in Business Award, Burleson Star Volunteer Award, Johnson County Child Welfare Board, Burleson Area Chamber of Commerce Board, New Teacher Luncheon Chairman. She has served on numerous committees and programs with the Chamber, Burleson ISD, and other school districts as well as Tarrant County College and the YMCA. In addition to their community contributions, she and her husband, Calvin Phillips, spend their retirement traveling around the world, and attending the activities of their eight grandchildren and three great grandchildren.